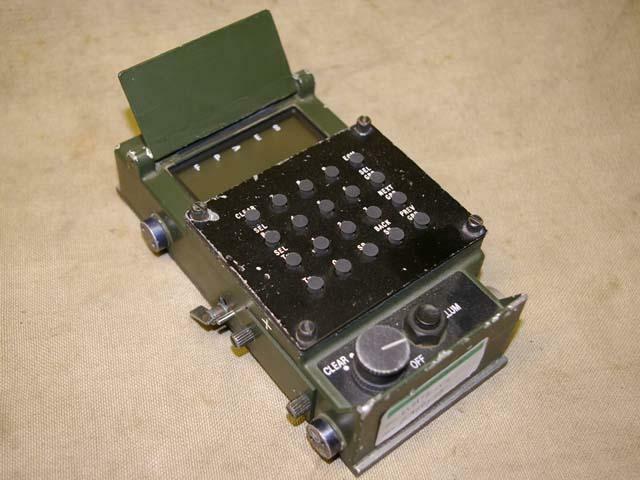 The Clansman PRC-319 Electronic Message Unit EMU BA-1304 is a removable pocket sized small alphanumeric keyboard that allows transmission of written words and data when voice transmissions would be dangerous, to coordinates and direct communication with fire control and direction computers. The unit operates using the RWOP system. It uses standard frequency shift keying (FSK) with 850 Hz shift and forward error correction (FEC) to protect against reception errors. The bandwidth is dependent on keying speed. Supplied in good condition.